Ms. Kamugisha hails from Burundi, a tiny country undergoing a cyclical conflict where no one is spare from the wounds of civil war. 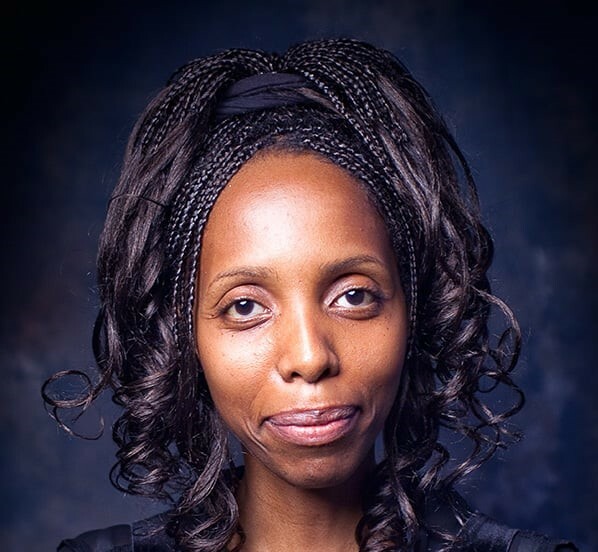 Having been raised in non-violent countries on three continents, Ms. Kamugisha became culturally aware of the nexus of geopolitical relations and the gap between sustainable and lawful societies and torn ones. Raised in a family that allowed religious diversity, Ms. Kamugisha became a passionate follower of Jesus by serving others with all Christian attributes that reflect respect and tolerance of all faiths. Experiencing loss at a young age, Ms. Kamugisha chose to head back to Burundi for a decade and used her cultural awareness as a tool for unlocking conflict crises in mitigating extreme violence through peace-building local and international actors that shield torn societies to descend into genocidal violence. As a legal representative for the non-for-profit association Guilgal Center for more than a decade, Ms. Yvonne Kamugisha invests in restoring women’s empowerment in local communities through sustainable development programs to reconciling them with street children and abandoned infants in a broader effort to secure long-term stability, where everyone is responsible for collective human dignity through healing and individual transformation. Her dedication led to the growth of the work of reconciliation in multiple provinces, sustained by women locally-owned businesses in addition to vocational training to vulnerable street children and orphan girls. For a long-term trajectory, Ms. Kamugisha envisions a nation that will be able to face its past and memories through a rebirth of national identity and collective memory. Her passion for documenting lives of victims and perpetrators is at the core vision of national reconciliation. Ms. Kamugisha moved to Washington D.C. to work as a French Cultural Language instructor with the Foreign Service Institute, where her language and cultural skills intersect with her academic passion in topics engaging socio-political identities as well as conflict dynamics analysis. Ms. Kamugisha is currently a PhD candidate at the university Bordeaux Montaigne, where her area of research is conflict reconciliation and Peace-building actors’ involvement in the field of genocide prevention. She is a 2011 Women International Leadership alumna from the New York International House and received the 2016 Peace Circle award from the Creators of Peace circles from Initiatives of Change. She is a NYU scholar’s at risk grantee since 2012 and a former member of the National Prayer Breakfast. Ms. Kamugisha spends her spare time in various interests such as learning new languages; understanding the formation of star patterns and galaxies; writing stories for visual archive memories; finding new art forms to serve the voiceless. She enjoys fencing and long distance running as much as training kids to both run towards and fulfill their dreams. Only the sky can be the limit for the forgotten ones; Ms. Kamugisha is ready to walk the path of non-violence at whatever the costs through active dialogue and reconciliation processes at all levels.